Five Reel Bingo Slot Machine - Casino Answers! Five Reel Bingo is a 5-reel, 20-line video slot developed by Rival Gaming, featuring a wild symbol, multipliers, a free spins feature and a bonus game. You can play the Five Reel Bingo video slot at Bovada. The Five Reel Bingo casino game is a penny slot. Coin values on the Five Reel Bingo slot machine are $0.01, $0.05 and $0.10. You can select up to 20 lines at 1-10 coins per line. At the highest settings, the maximum total bet of $20 per spin. The Five Reel Bingo slot game has a low betting range that is most ideal for low rollers. If you are looking to play all 20 lines at 10 coins per line, press the “Bet Max” button to spin the reels. Otherwise, to play the Five Reel Bingo video slot, select your bet and use the “Spin” button. The jackpot symbol on the Five Reel Bingo online slot machine is the Old Lady symbol. When 5 Old Lady symbols appear on a selected payline, you will win the 2500 coin top jackpot. 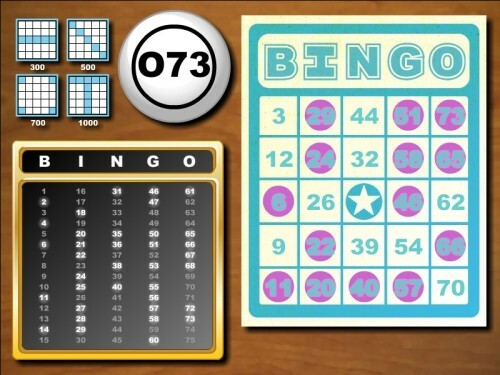 The second highest paying symbol on the 5-Reel Bingo video slot is the Caller, which can pay out up to 1000 coins. The Free Space symbol is a wild multiplier. It will replace any other symbol to form a winning combination whenever possible. The wild symbol only appears on reels 1, 3 and 5. When a payline contains a wild symbol that is apart of a winning combination, it will have its win amount multiplied by the number of wilds appear on that payline. When 3, 4 or 5 Old Man symbols appear on the reels of Five Reel Bingo, you will win 5, 10 or 20 free spins at a 3X multiplier. All winnings will be tripled during the 5-Reel Bingo free spins feature. You can win lots of cash to play at the bingo halls by triggering this free spins feature when you play at Bovada! Payouts are made according to the Paytable. All wins pay left to right only, except for scatter wins (which pay any). Only the highest win is paid per selected payline. All wins are multiplied by the bet per line, except for scatters. Scatter wins are multiplied by the total bet. 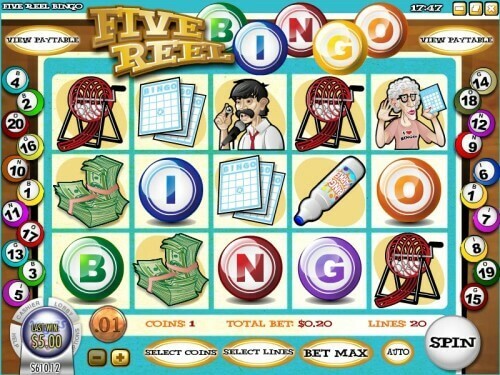 Five Reel Bingo has an autoplay feature that is available for real money players only. To access it, press the “Auto” button. There are advanced settings available on the Five Reel Bingo autoplay mode. You can play from 1-500 autoplay spins, stop when your balance increases/decreases by $1-1000, stop on any win and set a delay between spins of 0-10. You can stop the autoplay mode on the Five Reel Bingo video slot at any time by pressing the “Stop” button. It’s easy to see why bingo is such a favourite game. There is no learning curve, it’s fun and there is definitely an anticipation to hear whether your number has been called. That’s why thousands of people pack bingo halls every bingo day with their good luck charms while playing 50 cards at once. However, you don’t need to leave your living room to get the thrill of a bingo game – you can play Five Reel Bingo at Bovada! Do I need to download any casino software to play 5-Reel Bingo? No download is required to play Five Reel Bingo at Bovada! You can play it for free in practice mode or for real money. If you have any difficulties with the flash casino, you can download the latest edition of Adobe Flash Player.